I love teaching. I get so excited to share my crafts, skills, talents; whatever you want to call it. I have taught several classes to women and children about fabric postcards. 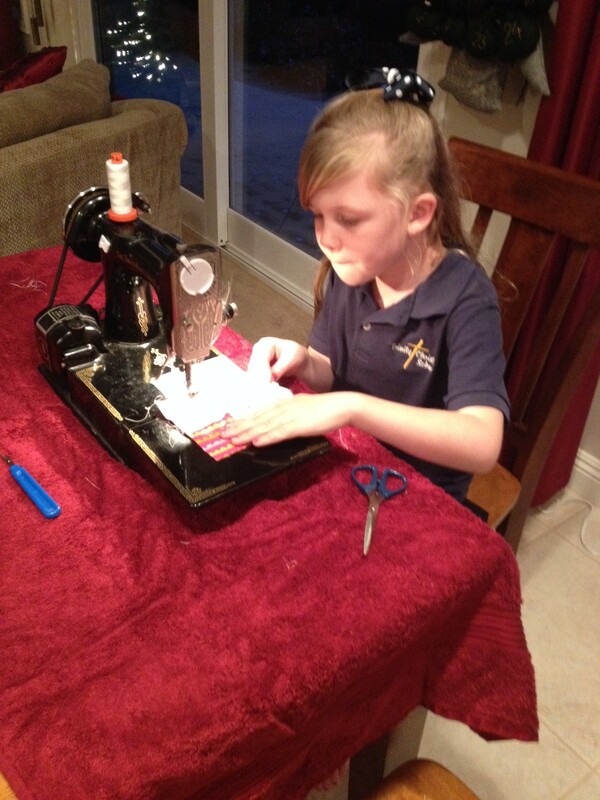 I’ve taught several other classes as well, but recently I had to privilege to teach a seven year young lady how to make a quilt for her American Girl doll. 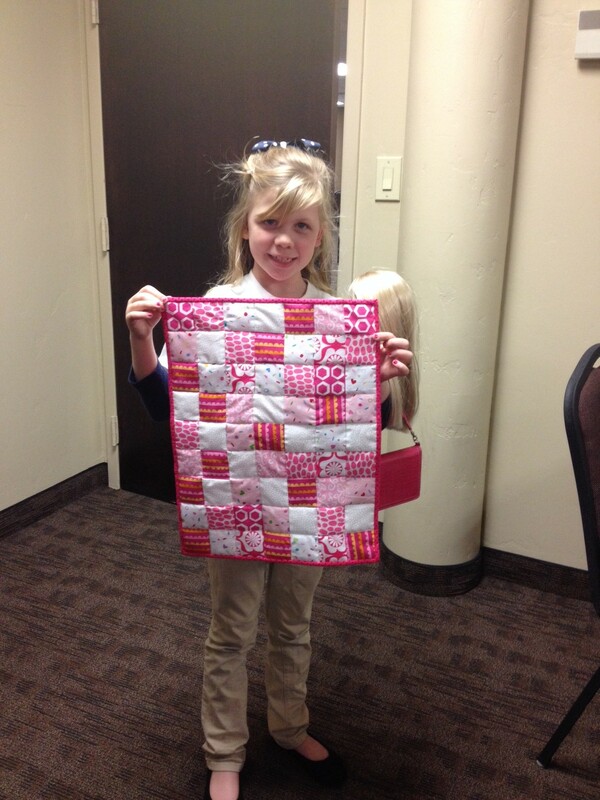 The thing about this adorable little girl was she was so excited to learn how to sew, and how to make quilts. 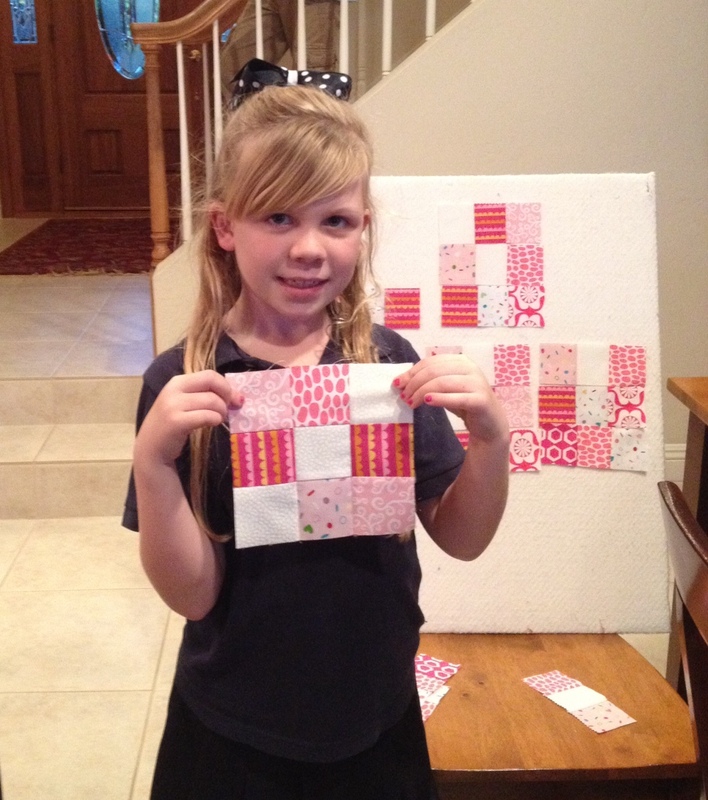 She even said later to her Mom that she would like to someday make quilts for sick people to make them feel better. Can you see my heart melting? So I pack up all my sewing stuff and head over to Emma’s house. She wanted a pink and white quilt for her doll. I had an assortment of pinks and whites, all cut into 2-1/2″ lengths. I took my tools and my feather weight singer sewing machine. She was so excited to get to work. I had her pick which fabrics she wanted. Here she is with some of the blocks put together and she is arranging them on the design board. One of the things she really enjoyed was just sewing the fabrics together on the sewing machine. And for being her first time and being only seven years old she learned fast and did an amazing job. She was so focused on that 1/4″ seam that, of course, I was very insistent about. I am so proud of her and her first quilt. Way to go Emma. Now she wants to make a blue one for her other doll. I can hardly wait to continue the lessons. A heart warming time for you, but an Oh so special memory for Emma! Every time she looks at that quilt she will remember her first lesson. Just think! When she is an old lady she can share with her grand children! Way to go Kay!